A Chair That Blurs The Lines Between Tradition And Innovation. 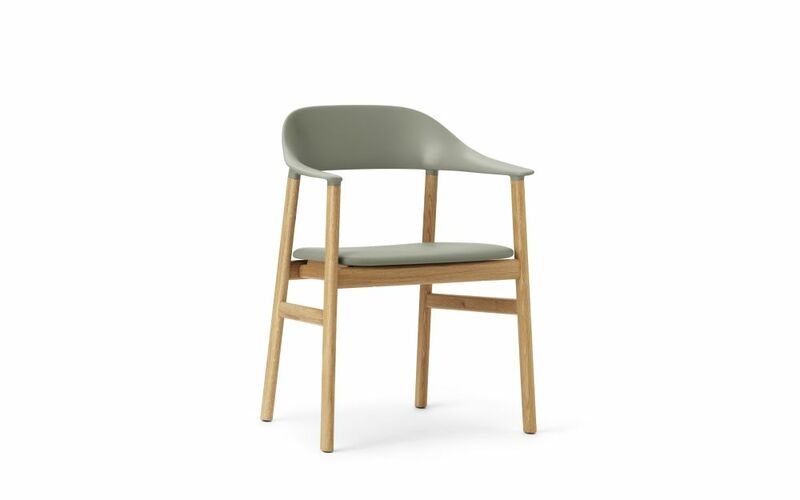 Danish design traditions have left a clear mark on Simon Legald’s chair series, Herit, which is short for heritage.The simple and honest style that characterises Danish furniture history stands as a clear frame of reference for a collection draped in nostalgia. But Herit is just as much a design that looks forward. Innovative production methods, new material compositions and timeless silhouettes give life to a chair that stands tall on its own.The path of the curves is by no means random; it is precisely designed to follow the shape of the body and create the correct support in the seated position. Herit is a chair that truly unfolds its beauty as you move around it and observe the transitions of shapes. With tradition and renewal combined in equal measure, Herit is a hybrid of time that transcends styles and periods. Whether it moves into a classic apartment, a modernist building or post-modern architecture, it inhabits the space with natural ease and subtle grace. The plastic parts are molded with a core of foam. This innovative technique makes it possible to create thickness in the needed areas in order to obtain the best seating comfort and construct the sweeping lines of the design. Maintenance: Textile: Clean with textile or upholstery cleaner. Leather: Clean with a damp cloth. Use warm water with soap flakes. Frequent vacuuming with a soft fitting is recommended for both textile and leather to preserve color and appearance.